We like to think that Israel Engagement thinking can’t be summarized in a couple of tweets, and we also believe that a few great lessons or programs do not a transformation make. Sometimes a framework is needed, or a different way of thinking. Here we have gathered, and will continue to gather, our longer articles and thought-pieces about Israel and Israel engagement. We would suggest that a framing understanding of what Israel means to the Jewish People, boils down to four values as expressed in the penultimate line of Israel’s National Anthem. An exploration of the four elements might be at the heart of every Israel Engagement curriculum, the theme of Yom Ha’atzmaut celebrations, and the basis on which a ‘broad tent’ of Israel advocacy might be built. The way in which Israel is connected to the Jewish People culturally, historically, religiously. Where Israel expresses its connection to the Jewish world and its meaning. At the same time this sub-theme would address the nature of Jewish collectivity. The nature of freedom as embodied in the creation of the State. Not simply the freedom of Pesach, which celebrates a freedom from suffering and persecution, but also the very particular form of freedom that Statehood has brought: the freedom to take responsibility for oneself, the freedom to grant or refuse freedoms to others. Freedom would also refer to the freedom to create, to innovate, and to renew. The specificity of Israel as a geographical, political, and historical entity with deep significance to the Jewish People. This sub-theme would also address the question of ownership: the proof of ownership and the expectations and responsibility of ‘owners’. Were we to remove the word People – עם – from this phrase, we would be left with what was the Meretz slogan in favor of the Gay Pride March in Jerusalem 2006. 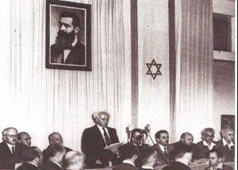 To be free in our land is a worthy aspiration that pays no heed to a shared Jewish collective. Were we to remove the word Free – חופשי – we might sum up the cultural non-military approach of R. Yochanan ben Zachai, establishing Roman protection of Yavneh’s scholars. And removal of In Our Land – בארצנו – would leave our theme with no reference to Israel! To our mind, the other advantage of this four-point organizing theme, is that it can give respect to unresolved questions and concerns. To what extent Israel has ensured the continued survival of the Jewish People (להיות), how far Israel has strayed from or developed its culture (עם), whether Israelis take full responsibility for their collective and individual actions (חופשי), and a Diaspora Jew’s connection to the land (בארצנו) – all these are issues that can be aired and housed within this overall structure. This four-point set of principles can also offer us an effective pathway into rejoicing, reflecting, and defending. For no matter how one chooses to define our current situation, the Jewish People is closer to normality and more equipped to survive and fend for itself than it was before 1948 (להיות), is more capable of acting as a collective (עם), more free than ever in history (חופשי), and living in the land of our forefathers (בארצנו). Looking at Israel through these principles, we can find reason for joy as well as reflection. As the first step in exploring the potential of this theme, we have created chevruta text studies around the 4 values. 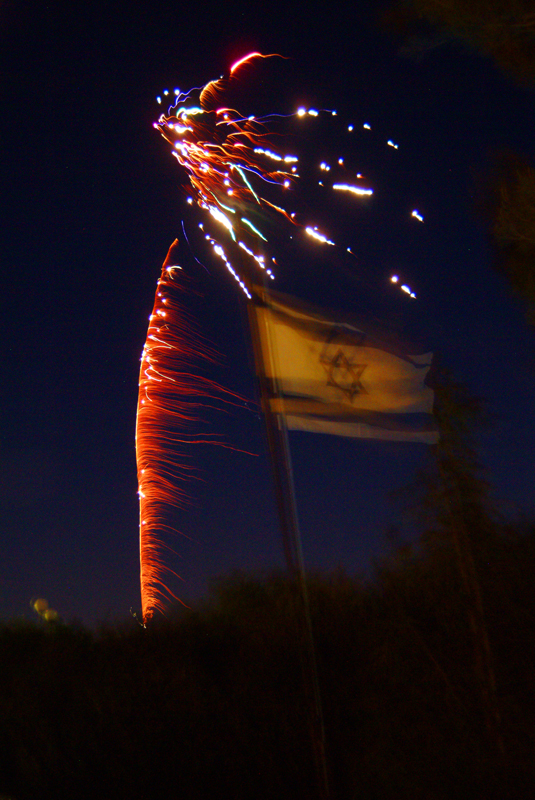 Can we reassess the way our community celebrates Israel? Is it possible for us to reimagine Yom Ha’atzmaut as a Jewish festival, a chag, rather than a secular birthday? What if our Israel celebration walked from Yom HaShoah to Yom Ha’atzmaut? What if the days in between these two monumental events in Jewish history were filled with reflection, anticipation, activity and celebration leading up to the commemorative day itself? For several years Makom worked in close collaboration with the Jewish Peoplehood Hub. During this time, several papers were produced, gathering together the latest thinking on Peoplehood. Our research for the Global Jewish Forum on Haredim and the Jewish Collective was enlightening. Over the next few weeks we shall be presenting here all the materials that we feel may shed some light on the complexities of the subject. We look forward to hearing your responses. Here we present the video Makom created for the Global Jewish Forum in Jerusalem.